I have two winners to announce this morning, so let's get to it. Winner of the Star Wars giveaway was @posiegirl - who entered on twitter. Winner of the second giveaway was Ashley Teal, who entered on Facebook. 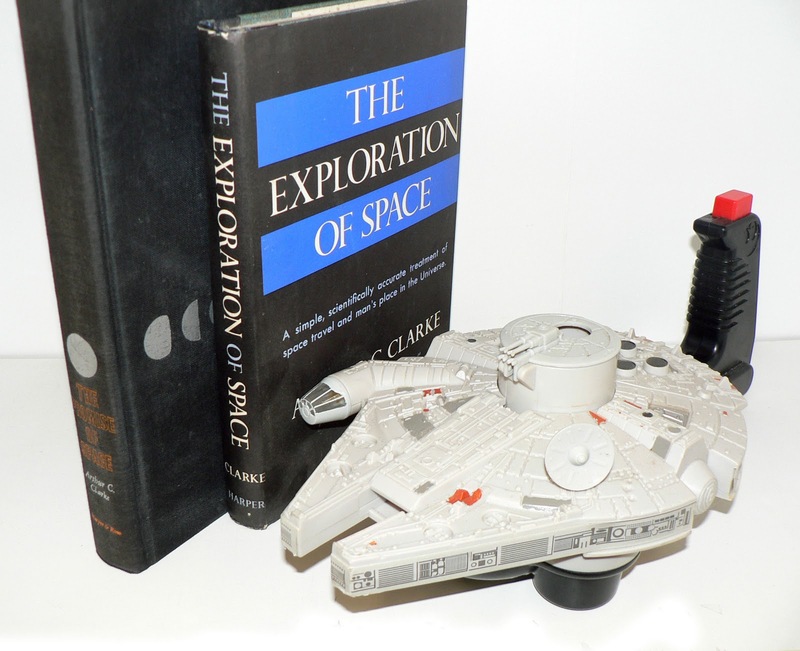 Two terrific Arthur C. Clarke books, "The Exploration of Space" and "The Promise of Space" and a little battery-powered Millennium Falcon. Winner of this little bunch was Suz and Allan. I'll be trying to get in touch with all of you on my own, but it ever hurts to check in.